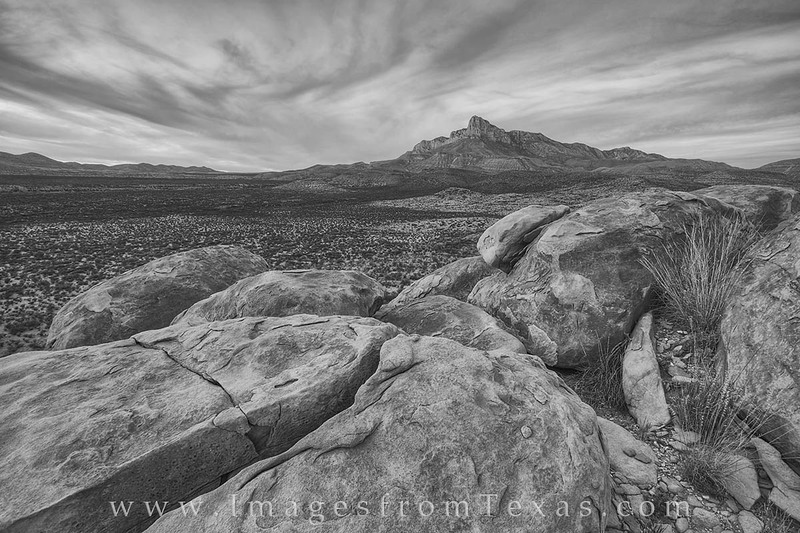 High clouds swirl around the summit of El Capitan in Guadalupe Mountains National Park. This Texas landmark is the 8th highest point in Texas and rests in the shadow of Guadalupe Peak, the highest point in the state. Seen here on a cool evening, El Cap has long served as a waypoint for travelers. Photo © copyright by Rob Greebon.